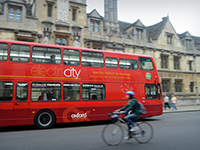 The Global Challenges in Transport programme provides decision-makers from a range of sectors with the necessary skills and expertise to address the complex challenges of sustainable transport futures. Our courses attract both early-career and senior professionals, as well as academic researchers. The expertise of our speakers spans both developed and developing countries, and research as well as practice. During the courses participants are encouraged to take an active part in the sessions, which emphasise small-group teaching, critical thinking, and debate. You will be able to draw on expertise from different sectors and disciplines to develop new insights into the challenges you encounter in your day-to-day practice or research. Whether you take one or several courses, this programme will offer you an opportunity to extend your expertise and revolutionise the way you think about the global challenges facing the transport sector. 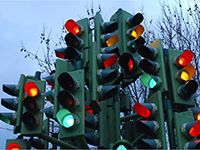 Globally, transport is undergoing important changes in technology and user behaviour. 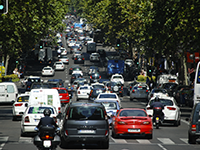 This course offers the latest thinking on how such changes can be understood, and what their interactions mean for the future of transport demand. It explores emerging contemporary mobility cultures in different global regions, the diffusion of new technologies and new perspectives on their role, changing behaviours and energy reduction, and the sociocultural dynamics of behaviour change. Cities are increasingly the places where technological, behavioural and institutional transitions in transport have the greatest impact. This course explores how such transformations can be facilitated and steered through policy and planning. The planning, management and appraisal of transport infrastructure plays a critical role in economic development. This course introduces a range of approaches to thinking about transport investments, from megaprojects to small-scale infrastructure developments. More specifically it considers the role of different stakeholders and the tools and techniques for transport investments and appraisals. Increasingly, concerns about health outcomes in a range of contexts are linked to transport and mobility issues. 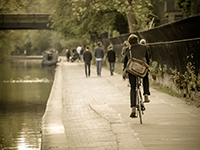 This course considers health, wellbeing and social equity across spatial scales, geographical contexts and transport modes. It specifically concentrates on the relationships between urban form and design, mobility practices, and physical and mental well-being. Particular emphasis will be placed on the potential contribution of walking, cycling and public transport services to healthy cities. To apply for a place on one or several Global Challenges in Transport courses, please complete the following application form and submit it either by email to exed@tsu.ox.ac.uk, or by post, to The Executive Education Coordinator, Transport Studies Unit, School of Geography and the Environment, South Parks Road, Oxford OX1 3QY, UK. Course fees for each course cover attendance at all sessions; 3 nights en-suite accommodation at Kellogg College, University of Oxford; breakfast, lunch and dinner, including a formal Networking Dinner at Kellogg College on the first evening; morning and afternoon tea and coffee; teaching materials; certificate from the University of Oxford. 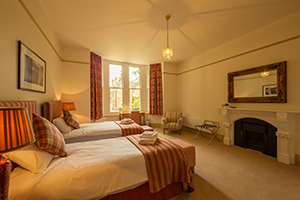 If you do not require accommodation in Oxford, please contact us for the non-residential rate. By booking more than four-months ahead of your course, you will be eligible for our 10% Early Bird discount*. Every time you or your organisation books more than one place on the Global Challenges in Transport programme, a 10% multiple bookings discount will be deducted from each subsequent course's fee*. If you work in and are a national of a country that receives official development assistance from the Development Assistance Committee (DAC) of the Organisation for Economic Co-operation and Development (OECD) you may be eligible for our 25% DAC OECD discount*. * Please note that only one discount can be applied per course fee. All participants who complete a Global Challenges in Transport course will receive a certificate of attendance from the University of Oxford. On completion of any of our Global Challenges in Transport courses, participants are eligible to join the Global Challenges in Transport Alumni Network. Invited short talks during Global Challenges in Transport courses. If you are an alumna or alumnus, please contact us to be added to the network. Each course is delivered over four days in the pleasant surroundings of Kellogg College, Oxford, with all accommodation and meals provided including a welcome lunch on arrival and a Formal Networking Dinner with special guest speakers. 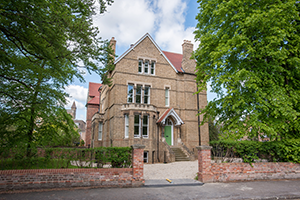 The Bradmore Road property backs onto Kellogg College's grounds and is part of its Norham Manor site, which is conveniently located close to most Oxford University departments, libraries and the town centre. 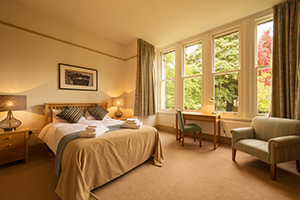 All rooms are beautifully finished, are spacious and have en-suite facilities. 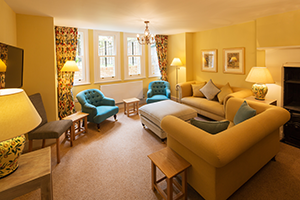 Linen and bedding is provided, a flat screen television, and coffee and tea making facilities. There is a shared kitchen, as well as a comfortable communal living room where you can relax and spend time with other participants. All meals and refreshments are served in College. Please note: There is strictly no parking available on-site. "Each of our courses offers a fantastic opportunity for professionals interested in transport to tap into the expertise of a world-class research centre. The programme incorporates lectures delivered by leading experts, interactive workshops, and hands-on demonstrations. Participants can expect to learn new approaches for thinking about the major challenges in transport and mobility today, build their professional networks, and develop new skills." Dr Tim Schwanen, Director of Oxford's TSU.